The morning was spent at Slough Creek and the Foot Bridge turnout. What we were watching was too far away for pictures. 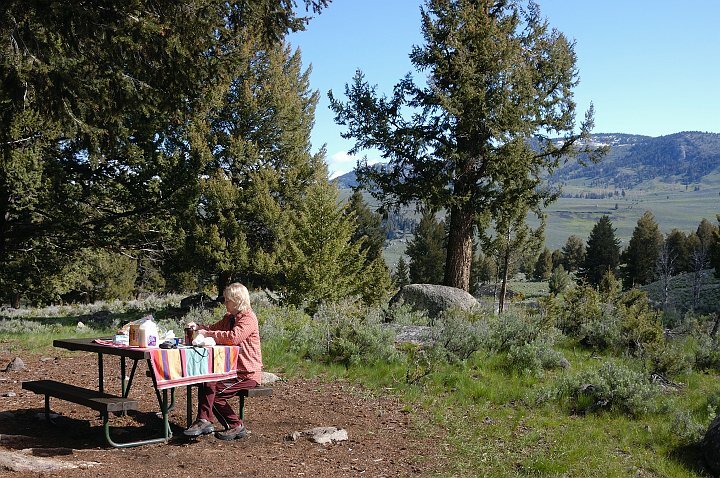 We had lunch at the Yellowstone Picnic area.